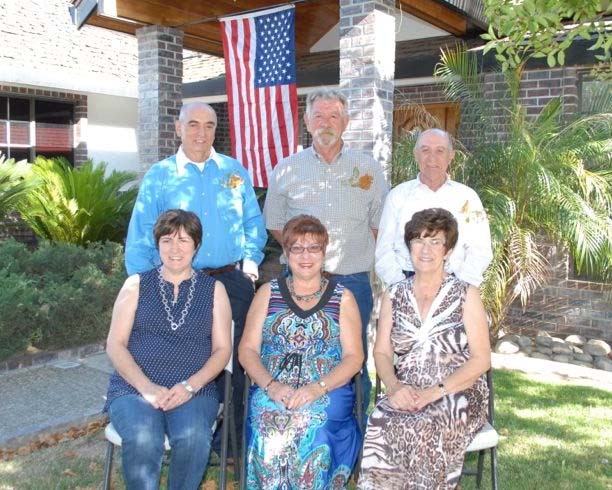 On June 16, 2013, we were privileged to host the Borba family (my mother-in-law's side of the family) for the 50th Anniversary of their immigration to America. The celebration was held on the exact date they arrived, 50 years later. (Which was also Father's Day here in the US.) This particular gathering was especially significant since it was held only 1 month after Doralice's heart valve replacement surgery. It truly was a celebration in every sense. The Borbas are some of my favorite people. They are passionate, sincere, fun-loving and loyal. We have always enjoyed these family gatherings and the company of cousins, aunts and uncles. These guys know how to have fun... and they have a lot of it, wherever they are. I look forward to many more family celebrations with this gang. Pictured here are the Borba siblings: Back Row, Left to Right: Ti Tony Borba, Ti Frank Borba, Ti Joe Borba - Front Row, Left to Right: Tia Raquel Azevedo, Tia Mary Lima, and my mother-in-law Doralice Rocha.